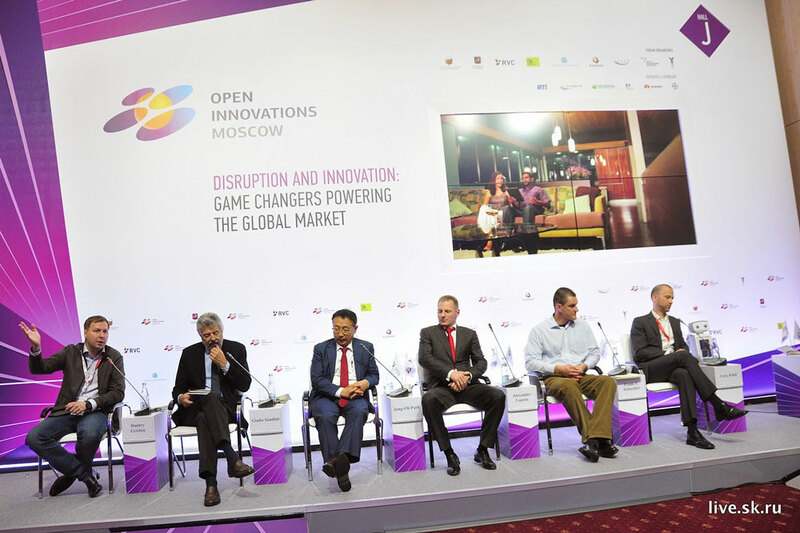 I was invited last month to moderate a panel discussion on the “Robotics Renaissance” at the 2013 Open Innovations Forum in Moscow. The brainchild of Russian Prime Minister Dmitry Medvedev, the Forum – now in its second year – was conceived as a launch point for stimulating Russia’s innovation prospects and furthering international investment in a country that has often been the home of scientific breakthrough and discovery, but which has regularly struggled to benefit from these economically. The event, which was co-organized by leading Russian government development agencies, was centered around the theme of “Disruption and Innovation: Game Changers Powering the Global Market” and brought together global players in government, industry and research to exchange ideas on innovation leadership and education, and to discuss global innovation trends in key areas such as biomedicine and medical technologies, nanotech, smart tech, advanced manufacturing and – not surprisingly – robotics. This was a major strategic event that had Russia looking both inward and outward, and seemed to be as much about placing Russia on the global innovation map in the eyes of potential investors and partners as it was about bringing recognized innovation experts into Russia so that policy-makers could learn from their experience. Robotics played no small part in the Forum’s technical program, which was designed in partnership with MIT Technology Review. Take, for example, the Day One plenary session Proven State Leadership Strategies in a Hyper-Connected World with Prime Ministers Dmitry Medvedev (Russia), Jean-Marc Ayrault (France) and Jyrki Katainen (Finland), Director of McKinsey Global Institute James Manyika and moderated by MIT Technology Review Editor-in-Chief Jason Pontin. In this session, Manyika identified five robotics-related areas of innovation (the Internet of Things, automation of knowledge work, advanced robotics, autonomous and near-autonomous vehicles and 3D printing) as part of McKinsey’s disruptive dozen technologies that are showing critical cost/performance breakthroughs that will enable them to touch major sectors of the global economy. Noting that “advanced robotics is clearly everywhere”, Manyika said that what is particularly striking about the development of robotics these days is the fact that we are starting to innovate on how these systems learn and work, and how humans will interface with these. Human-centered robotics was a key theme of the Robotics Renaissance panel discussion I was part of as well, which was held on day two of the conference and featured an international group of robotics experts from a broad cross-section of the field. 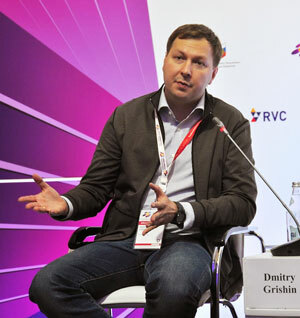 Russian venture capitalist Dmitry Grishin of Grishin Robotics launched the discussion by citing the transition of robotics towards consumer markets (enabled by the confluence of cheap components, 3D printing and the ability to outsource manufacturing) as his reason for investing in robotics. He went on to describe two of his recent investments, Swivl and Double Robotics, both of which are likely to be perceived by consumers as belonging more to the domain of personal telecommunications than robotics, and as such are practical examples of business models that are ready for a consumer market right now. 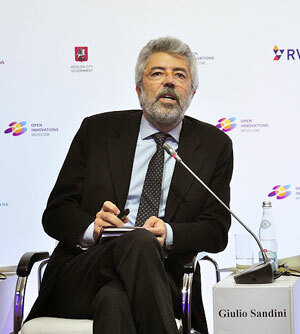 Giulio Sandini, Director of Research at the Italian Institute of Technology and the lead developer of the iCub, said that though machines have become faster and more precise, they must be able to “put themselves in someone else’s shoes” and anticipate the actions of people in their environment if we are to see robots enter our homes and workplaces. He also pointed out that Europe is investing heavily in the field of cognitive robotics, and sees robots like the iCub as development tools for the study of human-robot interaction and not necessarily as end products in and of themselves. 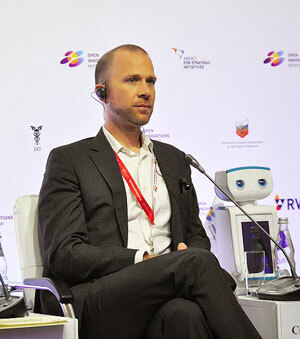 Citing the same factors of lowering production and manufacturing costs as Grishin, CEO and Founder of Intuitive Automata Cory Kidd says he built on his research in social robotics to launch a business based on how human robot interaction can be used to translate into a commercial product; in his case, a robotic weight-loss coach. Kidd said that social cues like eye contact can allow people to intuitively understand how to interact with robots, and that, likewise, the ability for robots to relate to people will become increasingly important as we seek to have complex interactions with them in consumer settings. Kidd’s expertise is in the application of robotics, and his research has shown that there was a market problem that could be solved by today’s robotic technology that was more effective than similar screen-based approaches like weightloss app coaches. Outside of consumer mass markets, the area where robots and humans arguably come together most intimately is that of medical robotics. Director of the Robot Research Initiative and faculty at the Chonnam National University in Korea Jong-Oh Park described his group’s success with an active capsule endoscope that can be controlled via joystick by a surgeon, drastically reducing procedure times as compared to inactive capsule systems that may take 8-10 hours to arrive in the small intestine after swallowing. He also described his lab’s work on an intravascular therapy microrobot for targeted delivery of drugs. Like the consumer market, the medical market – where single-use devices are often required for safety and hygiene – is sure to benefit from lowering costs of production; Park’s endoscope and other projects developed by his team are actively being commercialized at this time. Citing the latest IFR statistics, Alexander Lopota (Director and Chief Designer at the Russian State Scientific Center for Robotics and Technical Cybernetics) offered a sobering reminder, however, that robotics still remains largely the domain of industry: consumer markets may be getting lots of interest in terms of investment opportunity, but industrial and defense applications are still the driving force in terms of expenditures. Lopota speculated that a real breakthrough to mass markets will indeed occur, but only when we see robotic products that are simultaneously inexpensive and reliable – something that will happen as component parts become less expensive and more standardized. Lopota suggested that the need for standardization is especially acute in extreme environments like space, for example, where robotic systems must be able to interface with a variety of equipment built by different organizations without failure. 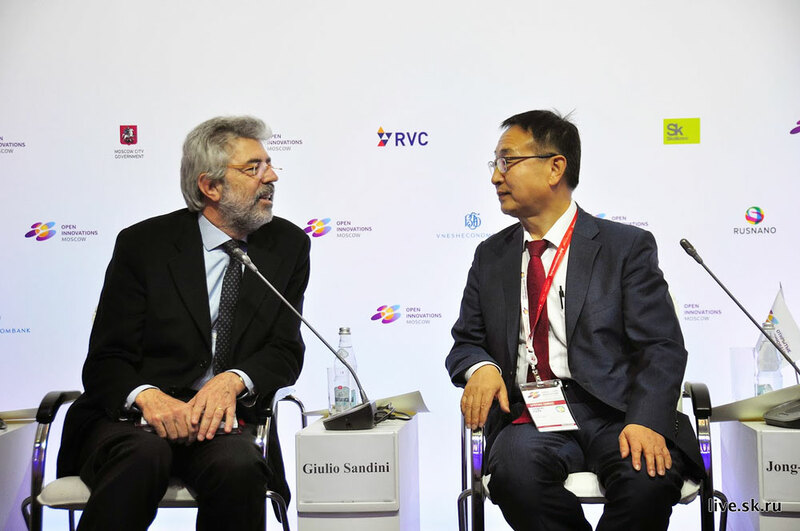 He also said that R&D work currently being done in extreme robotics may help to drive standardization in robotics in general, but international cooperation will be needed to make this happen. As head of the European Robotics group and the European Land Robot Trials (ELROB), and the driving force behind the new EURATHLON competition, Frank Schneider agreed with Lopota that defense remains one of the biggest markets for robotics, but he noted that the user in the defense market is very strong and able to tell industry what is needed; this is different in the civilian markets where end-users are less likely to have specific robotics expertise. Schneider suggested that competitions like EURATHLON – where the scenarios are designed in cooperation with civilian end-users such as firefighters or paramedics – are helping to bring more of a user-driven focus to industrial and academic R&D. This, combined with the standardization brought by industry, is helping robotics competitions to close the gap between research and commercialization. Schneider also noted, however, that he has observed the same mistakes being repeated since the competition started in 2006 (even by teams from the same universities), suggesting that, going forward, knowledge-exchange is a problem: “It seems like the questions are the same year after year,” and the cycle of information is lost as university students innovate, graduate and move on. 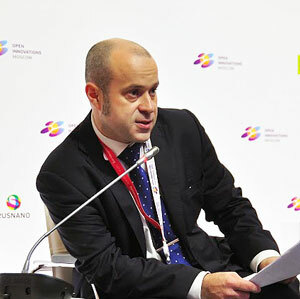 Albert Efimov, Project Director of the IT Cluster at the Skolkovo Foundation echoed the issue of knowledge exchange and tech transfer as one of Russia’s key obstacles in moving robotics innovation forward. Skolkovo is a non-profit organization responsible for creating a new science and technology development centre in the Moscow suburb of Skolkovo, and its key mission is to act as a bridge between research and commercialization. Skolkovo is divided into five clusters (information technology, biomedical tehcnologies, energy efficiency, and space and nuclear), and robotics – which overlaps with all of these areas – presents both a challenge and an opportunity to the foundation: “Actual innovation lies in between, and robotics involves all the clusters at Skolkovo,” he said. 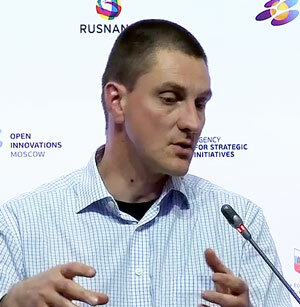 “Our mission is to bring [these] parties together, otherwise everyone will sit in their clusters not talking to each other.” Efimov also speculated that Russian universities are reluctant to commercialize the robotics projects in their research portfolios because they are worried about losing their top researchers and students to industry. Citing his own country’s enthusiasm for technology, Park suggested that leadership is important when it comes to success in robotics. South Korea takes an active role in stimulating the uptake of robotics by its industry and citizenry alike: it was the first country to develop a charter of robot ethics, and it is currently investing heavily in “market pull” projects for robotics, such as the Robot Land theme park (it also has an ambitious plan to have a robot in every household by 2020). 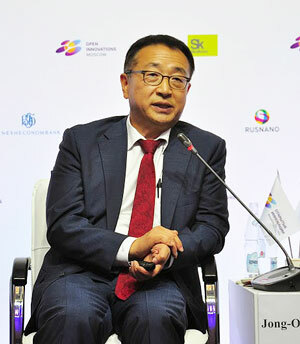 Park, who heads one of Korea’s centers of research excellence in medical robotics, also said that each country has its own strengths, and that Russia could do well to invest more in what it is already known for: robotics for search and rescue, space and defense.